2016-06-01 Sunpy has a HEK module for using HEK's web API. 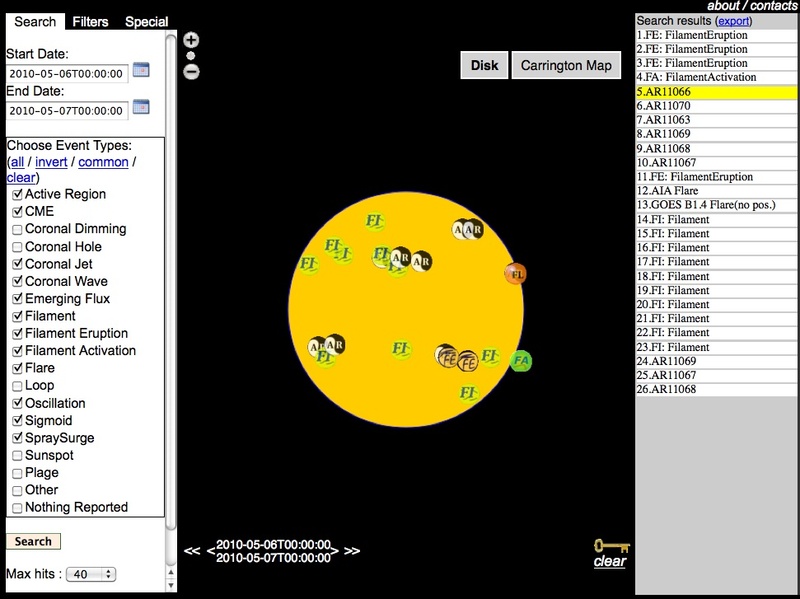 The Heliophysics Events Knowledgebase (HEK) system is being developed to help solar and heliospheric researchers locate features and events of interest to their science topics. What features and events were found on a particular day? What filament eruptions were reported from AIA observations? What features and events were submitted by a specific researcher? What HMI Active Region Patches (HARPs) are available in JSOC for a certain date range? What are the X-class flares in a certain time period? *May take a few moments. Specifically, this asks if there are Active Regions and Coronal Holes that overlap in space and time. Learn how to use HEK with SolarSoft here. For the Application Programming Interface documentation, click here.